The question is not, how can you still be in Santa Rosa, the question is, how could we leave? This morning I had one of the most amazing experiences of my life. Over 100 leaders including senior pastors, businessmen and women, plus community leaders met for breakfast to declare revival in the City of Santa Rosa. This unheard of. -A hyper liberal city being inundated by the Holy Spirit? 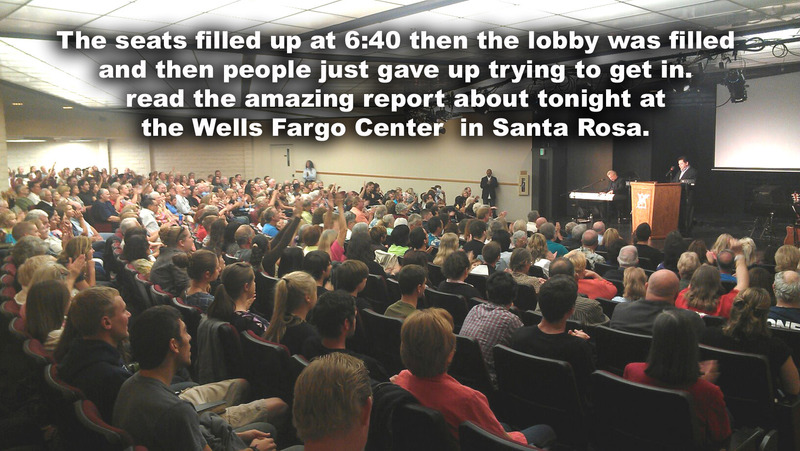 – Northern Californians packing out a church night after night for 12 weeks? -30 to 50 people repenting at the altar every night? -40% of the entire audience standing to declare that at one time or another in this series they were healed by the power of God? We are still here, precious partner, because there is no way we could leave! We are still here because revival, true revival is our nation’s only hope! We are still here because this is what we have all yearned for! Mario, what about your mission to the rest of America? The fire of revival is the best way to win a nation! A true invasion of the Holy Spirit would reverse our fortunes in a moment. If the fire of God reforged values into the American soul and the water of the Spirit cleansed the American bloodstream we would enter an era of peace and prosperity unmatched in our history. The very gangs that are meant to ruin us would become the vanguard of reformation. The signs and wonders of a freshly fired church would resolve the health crisis of America. Prophets and not pundits would be the voice of the American conscience. A force field of divine protection would cover our shores. This and much more would be ours in revival. How can we leave? What if we are on the brink of the most amazing event in the history of this ministry? What if we were to leave prematurely simply because we felt we had to go do other thing? Staying here is the most gigantic step of faith we have ever taken. We have had to drop everything to stay here. I know you believe in revival. I know that you want to see a miracle in California spread to our nation. This is why I am going to ask for your prayers so we can stay here. I need to know that your heart is with us to stay here and see this once in a lifetime opportunity reach its potential! There are two great evils at work in Northern California and they influence the whole nation. One is angry despair and the other is intellectual atheism. One controls the streets, the other controls the schools. One brings the bloodshed and despair that is shredding our cities. The other prolongs the agony by systematically banning the only cure to the problem. 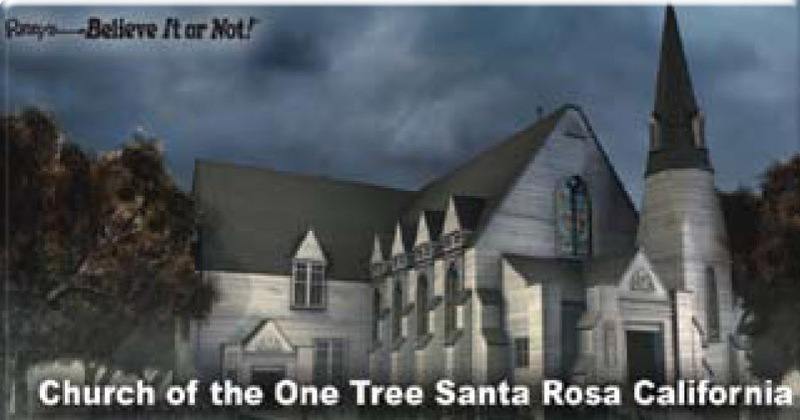 If you help me stay in Santa Rosa I will make this solemn promise I will attack the social message that assaults Christian faith. I will direct lost souls to the living presence of Christ. I will rip the mask off of Satan; to reaffirm our Faith against every onslaught and to ignite an outpouring of God to retake our nation. I have never needed your prayers more! Now the signs and wonders threaten to unravel the core of this city. What this simple phrase did to this man will stay with me for the rest of my life. He let go a laugh of joy and then tears that God would reveal this detail of his life. Then came a torrent of revelations about every last detail of his condition. Now lightning struck his body and he discarded his crutch and stormed around the church feeling the life of God in his new arms and legs. 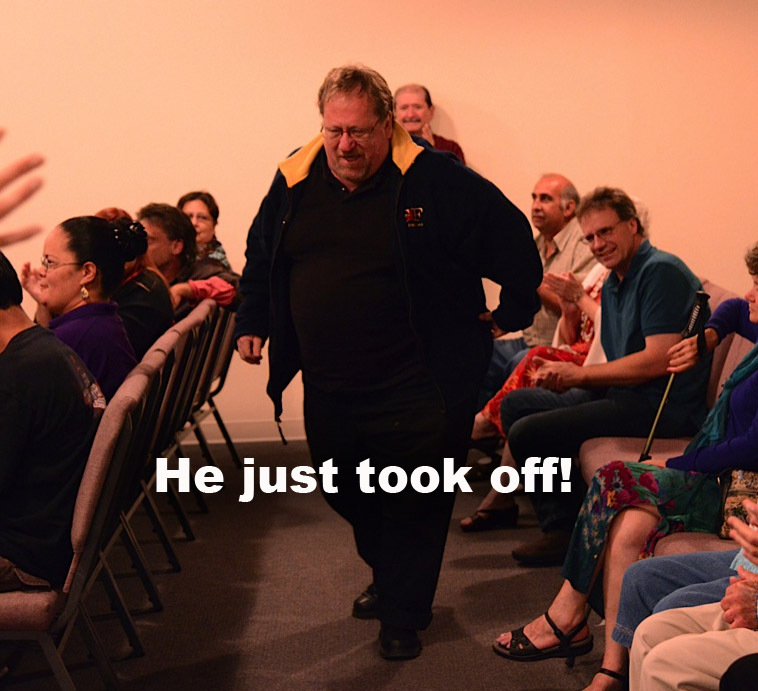 He felt the radiating heat of the Holy Spirit replacing death with life. 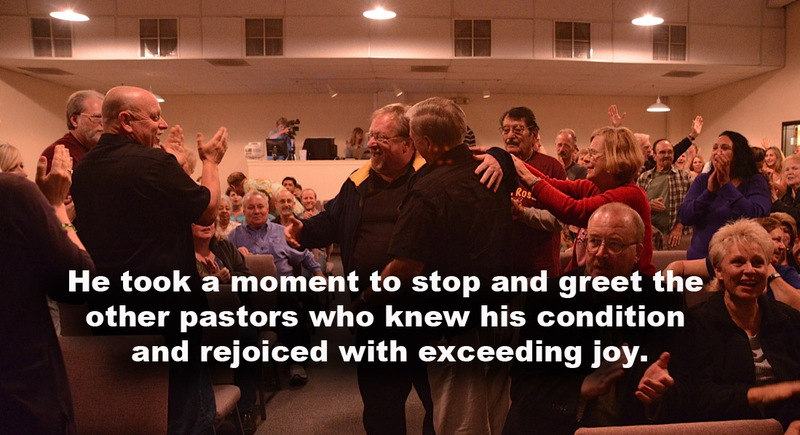 Now he took a moment to greet all of the fellow pastors and they rejoiced with exceeding joy. This miracle set the entire room ablaze with the Glory of God. 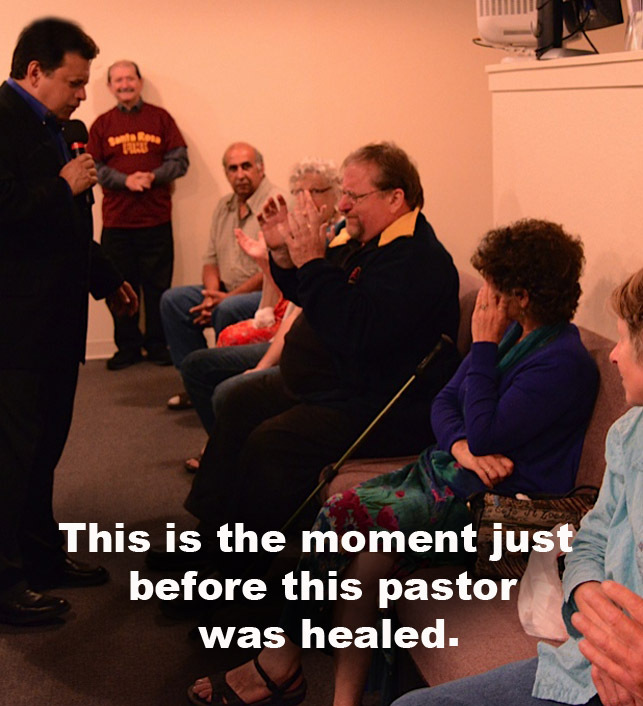 This touched off a flurry of miracles where people were declared that their diabetes, cancer, paralysis and every illness imaginable was being healed. Monday night August 27th was the greatest display of power in all of these meetings. The army left the building determined to bring the lost and diseased to the next meeting. 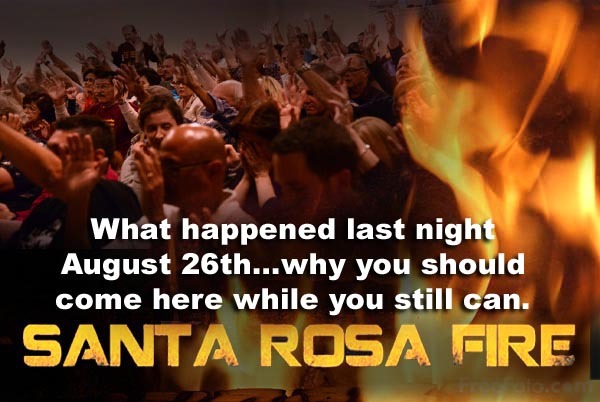 As the army of God walked out into the night, I remember thinking, we have reached a point where the signs and wonders will begin to unravel the very core of Satanic power in Santa Rosa. It was apparent that Jesus had launched an all out assault on every devil in this region. When Tuesday August 28th arrived my heart was wondering how could Tuesday top Monday? Somehow that question was answered almost from the first song. Power, real power entered the house. The Holy Spirit came with such force that people could no longer stand under the weight of His presence. I walked up to a woman and told her that it was hard to be a prophetess. She came unglued at the confirmation of her life. 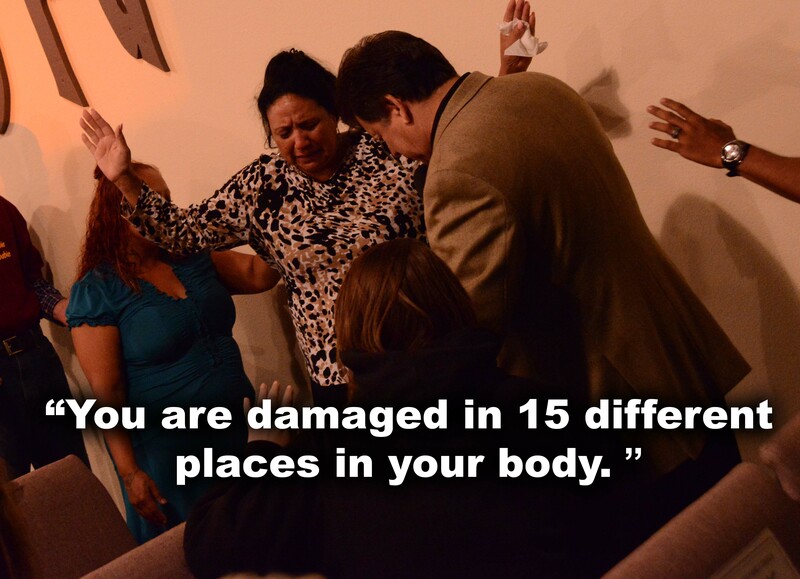 I went on because the Word of the Lord was too powerful to hold in…”you are damaged in 15 different places in your body. Heart, spleen, liver, kidneys, pancreas, lungs, legs, arms, eyes, feet, spine, neck, hands, and ears were all mentioned. It was as if disease was being machine gunned down. Each word shot life into her. She had to walk, bend and run to get relief from the glory. 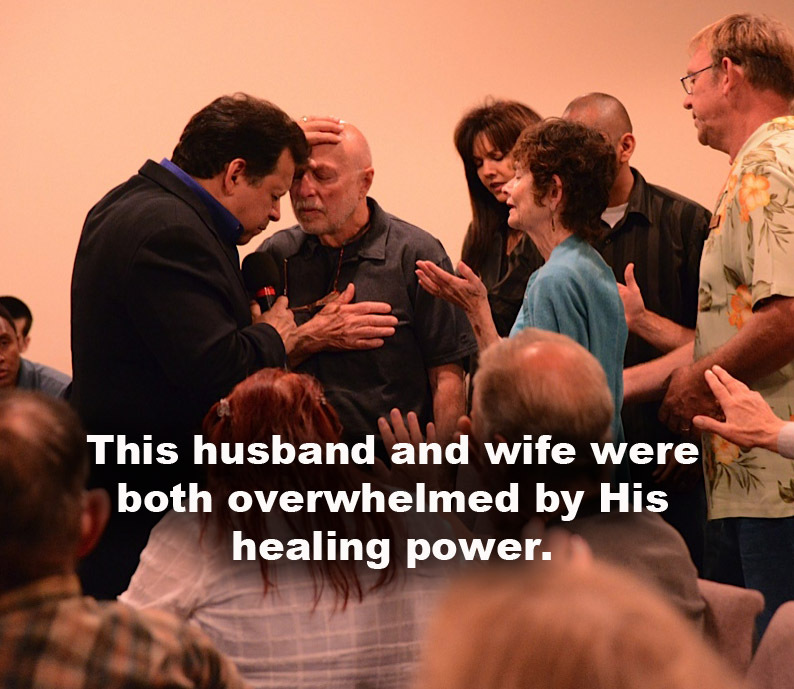 Again, the entire crowd reached out and received healing power. The current of healing grew so strong that it became a clear and present danger to ancient principalities and powers of Satan. I knew that the power was rising to the point of being impossible to hold in any building. I knew now that whatever strays into the path of this raging locomotive of revival will be mowed down! This is why we are announcing that the fire continues all the way to September 12. We will see the fire next week in all of the cooperating churches. We are moving the meetings into their buildings and then return for city wide meetings on September 9th! 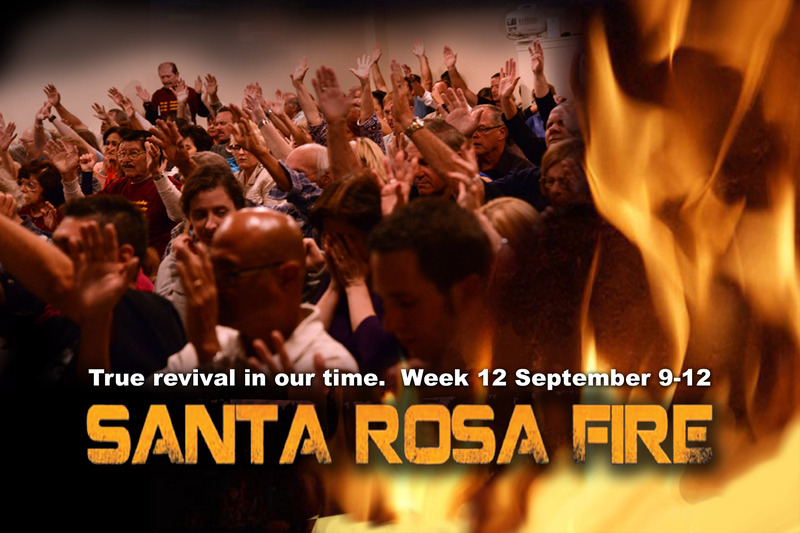 This one thing I have asked of the Lord: How the Santa Rosa Fire touches our deepest longing by simply being a place full of the presence of God. 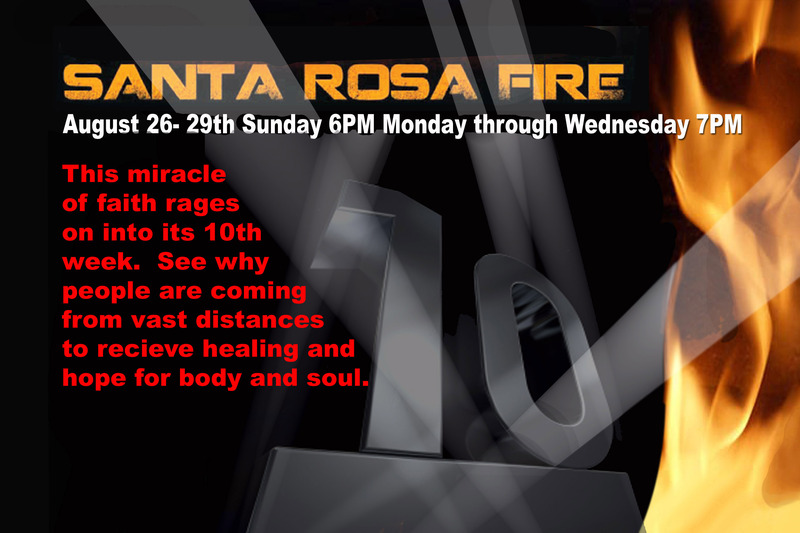 In America’s darkest hour there is an enthralling miracle happening in Santa Rosa. Last night only reinforced the sustained power and wonder of this event. If only you could have seen the transformation that took place in the hearts of those who cried out to God at the altar. If only you could have seen the way God healed before everyone’s eyes. 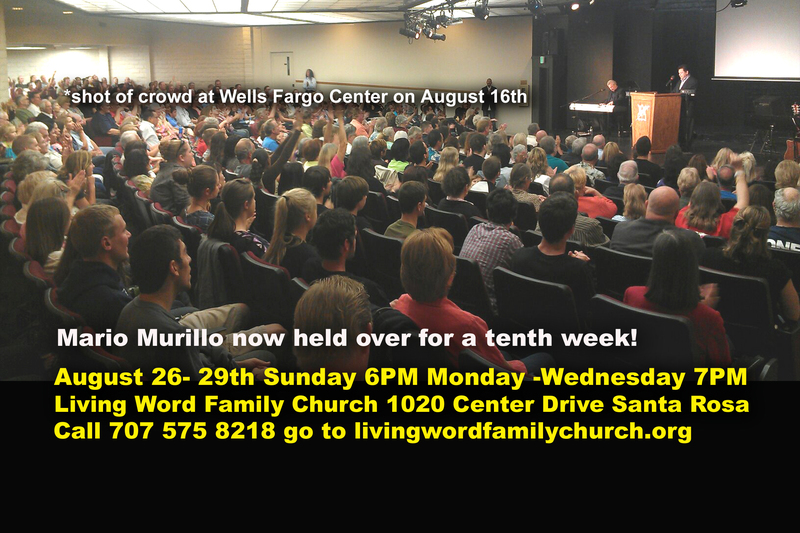 I can totally invite you and boast of this event because I know how little it now has to do with Mario Murillo. No one can adequately describe it, you must experience it for yourself. It is kind of like the fire fall in Yosemite. People come from all over the world to catch a glimpse of that special moment when all of the elements are right. During very rare sunsets, the light of the sun catches the falls just right and transforms it into majestic waterfall of fire. You cannot experience it with photos, it is not the same, you have to be there when it happens. Just like that water fall, all of the elements are right in these meetings in Santa Rosa. 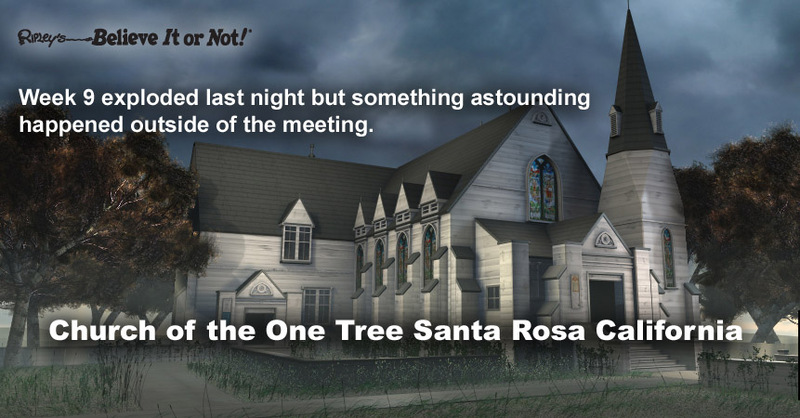 “I have lived here all of my life and I can tell you that Santa Rosa has never seen anything like this.” When the man said that to me I was taken back. Yet, I cannot deny that what is happening here is not like anything I have ever seen either. Yes, there are souls being saved. 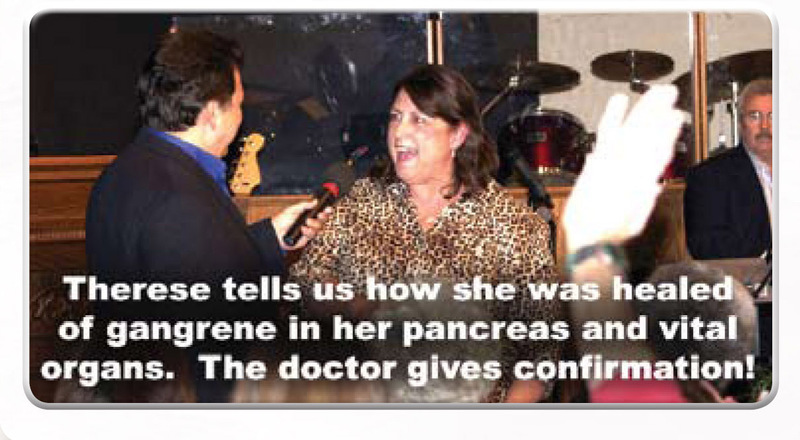 Yes, there are remarkable healings. However, it is the atmosphere that is so truly amazing. The presence of God is so real. It is so real that it is the main soul winning force. This is what is melting hearts and drawing them to new life. People have begun to come here from great distances. They simply want to be in the presence. There is no doubt that if the doors of the Living Word Family Church were left open, people would come at all hours just to sit in the atmosphere of the love and power of God. No one but God can explain how the grinding cares of this world vanish from the very first note we sing. People have dragged in here with the weight of the world on their souls. They have come with the death sentence of disease; with an incurable addiction, it does not matter, there has been more than enough power to obliterate every work of Satan. Only God knows how much longer He will permit this holy moment to last. We are doing everything we can to stay out of His way and to keep the hand of man off of the glory. I want to invite you to make the journey and come see for yourself why this is so unprecedented. Starting at the end of this month the Democratic National Convention will open with a focus on Islam. 20,000 Muslims are expected to attend according to the Bureau of Indigenous Muslim Affairs (BIMA), the national Muslim American non-profit coordinating the two days of events they claim are non-political. 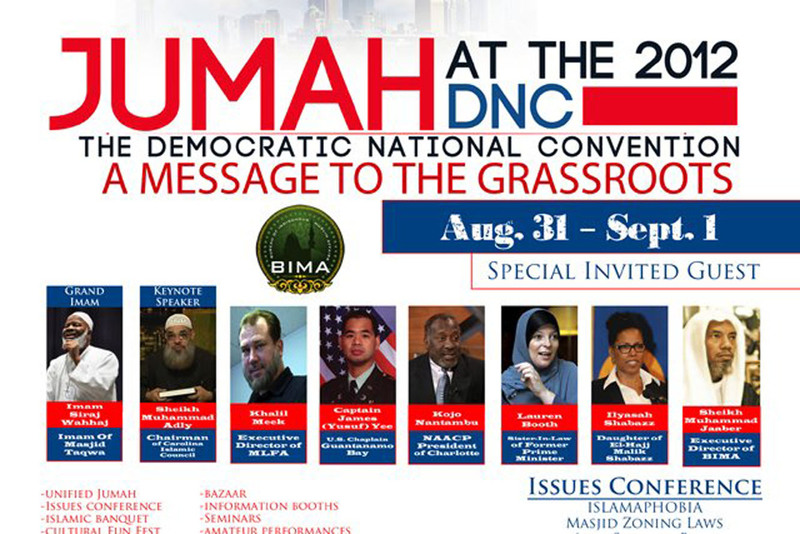 ”Jumah at the DNC” begins August 29 and will start with a Friday afternoon jummah prayer followed by other unnamed programs and events, leading up to the Islamic Regal Banquet. The following day will be an all day Islamic Cultural and Fun Fest which will include discussions on the topics of Islamaphobia, Anti-Shariah, Middle Eastern Crisis, Patriot Act, National Defense Authorization Act and more. The purpose, according to BIMA, is to attract national and international attention to the plight of American Muslims and to hold political parties accountable for issues that affect them. However, not all Muslims feel that BIMA represents them and M. Zuhdi Jasser M.D., Founder and President of the American Islamic Forum for Democracy, has expressed serious concerns. It is troubling that the Democratic National Convention has decided to promote and lend its name and national political platform to the organizers of the Jummah at the DNC?. The leaders of this event Jibril Hough and Imam Siraj Wahhaj as advertised are no moderates. They are radicals. These individuals embrace Islamist supremacy and have demonstrated support for radical ideologies. A quick Google search by the DNC would have shown them that Hough and Wahhaj are leaders in the separatist American Islamist movement. While they may be able to get a few thousand Muslims to attend the event, they are NOT going to be mainstream Muslims. Most will likely come from Hough and Wahhajs radical networks that have long been entrenched in the Charlotte area. Make no mistake they are part of the Islamist movement. This is not about their right of assembly; this group under a different name pulled the same stunt at the US capitol in 2009 claiming 20k and getting 2-3k. THIS IS ABOUT the DNC calling this an official function? listing these radicals as typical of the DNC community and more importantly about this organization speaking out AS representing supposedly typical American Muslims (or Mainstream?). If that is who the DNC is consorting with then all Americans, Democrats should be concerned. There are many patriotic Muslims who are part of both parties, and when radical ideologues like this do a demonstration of solidarity in the name of our faith and choose an imam like Siraj Wahhaj who I saw with my own eyes in 1995 seditiously say it his duty and our duty as Muslims to replace the US Constitution with the Quran- then we need to speak up! Their jummah (group) prayer is supposedly against the Patriot Act, the NYPD, and Islamophobia and is actually NOT about our democracy but about empowering their Islamist and MB (Muslim Brotherhood) sympathetic groups into the very fabric of the political system so that Americans become anesthetized. We need American Muslims to speak up and marginalize these radicals. The DNC needs to understand and reject them because of their radical history and ideas. In fact, Zuhdi Jasser is correct, Jibril Hough and Imam Siraj Wahhaj have said and done radical things in their past. Which means either the Democrats failed to utilize due diligence or they simply didn’t care. In addition to the Muslims being misrepresented, Democrats and Charlotteans also have a right to know how the DNC has failed them before they even arrive in Charlotte. He should ensure that those Muslims he talks to do represent authentic Islam. All Islamic movements oppose America’s policies. If Obama talks to Muslims who support Americas policies, it will be an exercise in futility. In response to Hough accusing Rep. Myrick of being anti-Muslim, he was interviewed on the formerly conservative radio station WBT in Charlotte. Radio host Keith Larson questioned him as to why his mosque was owned by The North American Islamic Trust (NAIT), an organization blacklisted by the U.S. Justice Department as an unindicted co-conspirator in the largest terror finance case in U.S. history. According to the government, NAIT is also a front for HAMAS and the Muslim Brotherhood in America. Hough, when presented by Larson with the documents, claimed he didn’t realize his mosque was owned by NAIT and was also unaware that they had been blacklisted. Hough went on in the interview to defend HAMAS and accuse the U.S. and Israel of the only “real” terrorism. Imam Siraj Wahhaj is imam of a mosque in Brooklyn, New York, the leader of The Muslim Alliance in North America, a member of CAIR, and an unindicted co-conspirator in the 1993 World Trade Center bombing. As a character witness for Omar Abdel Rahman (the Blind Sheik) who was convicted of plotting to blow up the World Trade Center and other New York City landmarks, Wahhaj described him as a respected scholar, and bold, as a strong preacher of Islam. Wahhaj is also a Board of Trustee member of the North American Imams Federation (NAIF)(who’s website currently features an anti-Jewish, anti-black rant), a Muslim Brotherhood front organization, who (coincidentally) held a conference in Charlotte last year on Islamophobia. Like Hough, Wahhaj is also connected to NAIT by way of his membership in the Islamic Society of North America(ISNA), which was also found by the government to be a front for HAMAS and the Muslim Brotherhood. While Hough has been careful to play politics in Charlotte, Wahhaj has not hidden his hatred for America. He is quoted as calling America, “a garbage can… filthy, filthy and sick.” As an imam, he has stated, “Where ever you came from, you came to America. And you came for one reason for one reason only- to establish Allahs deen (a complete way of life). He believes that the only reason to get involved in politics is to use it as a weapon in the cause of Islam. By his own admission, the question of why Wahhaj would be interested in hosting events at the DNC is obvious. How BIMA gained access to the DNC is more of a mystery. Muhammad Heshaam Jaaber, the Executive Director, Jibril Hough, spokesman, and Captain James Yusuf Yee, BIMA National Representative for the DNC are the only publicly identified members and each one appears to be connected to U.S. Representative Keith Ellison; the first Muslim ever to be elected to Congress and a former supporter of Louis Farrakhan. Ellison, who attended President Obama’s Iftar Dinner earlier this month, made the news last month when Representative Michelle Bachmann called for him (among others) to be investigated for ties to the Muslim Brotherhood. Whether or not he has ties to the Muslim Brotherhood, Ellison is not far from them having associates within BIMA. Jasser points out that Hough sought advice from Ellison before proceeding with his Town Hall with Rep. Myrick. Captain Yee (who will be speaking at the event) appears in BIMA’s promotional video for Jumah at the DNC quoting Ellison as saying, “If you’re not at the table, then you’re on the menu.” Yee is described by BIMA as “a chaplain in the U.S. Military” and an “eye witness to to the unjust treatment of military detainees and prisoners of Guantanamo Bay” who was allegedly detained “when he took steps to prevent the injustice.” However, BIMA fails to mention that Yee was charged by the military with sedition, aiding the enemy, spying, espionage and failure to obey a general order; charges ultimately dropped due to national security concerns about releasing evidence in the case. Also speaking will be Hassen Abdellah, who BIMA has no problem admitting was “a lead defense attorney for the 1993 First World Trade bombing suspects” Ellison has also appeared alongside Wahhaj on many speaking engagements for organizations such as ISNA and NAIF, despite both organizations being fronts for the Muslim Brotherhood. If Ellison is the link between BIMA and the DNC, then can it be said that, not only does he not mind the questionable associations of those within the organization, but also the other speakers they will be bringing in? BIMA has stated they have smaller events planned for the Republican National Convention, however when reached out to, GOP convention staff said they have no knowledge of any events planned in or around Tampa at the time. With the Democratic National Convention only a couple weeks away, it will be interesting to see if the media chooses to cover what one would assume to be a controversial start to renominate President Barack Obama. A new report by the Family Research Council and the Liberty Institute claims that there’s been a rising pattern of hostility toward Christians in America over the past decade. The 140-page “Survey of Religious Hostility in America,” prepared by the Liberty Institute and the Family Research Council, highlighted more than 600 examples illustrating what it characterized as religious animosity shown by judges, government bureaucrats, schools and secular groups. From ObamaCare mandates that force religious entities to pay for contraception, to children being punished for uttering prayers in school, the report’s findings shocked even those who commissioned it. Matthew Reynolds, valedictorian for HLV Junior-Senior High School in Victor, Iowa, was told he had to give a ‘secular’ speech after he wished to attribute his success to his faith in Jesus Christ during his graduation speech. A cross was removed from a veterans’ memorial in San Diego, after the U.S. Court of Appeals for the 9th Circuit held that the memorial was unconstitutional. .Dr. Frank Turek, a Cisco employee, was fired for expressing his views on traditional marriage in his book, even though he never voiced his religious opinions at work. Catherina Lorena Cenzon-DeCarlo, a nurse at Manhattan’s Mount Sinai Hospital, was forced to participate in a late-term abortion against her religious convictions, and was threatened with job termination and loss of license. The goal of the report is to raise awareness of these incidents to promote the appointment of judges “who are sensitive to the Constitution,” said Kelly Shackelford, president of the Plano, Texas-based Liberty Institute. The report was presented in Tampa just ahead of next week’s Republican National Convention. According to Shackelford, the hostility can lead to violence, as in the case of the Aug.15 shooting at the Family Research Council headquarters, in which a gunman allegedly said he disagreed with the group’s beliefs before shooting an employee in the arm. He also cited the Aug. 5 shooting deaths of six people at a Sikh temple near Milwaukee. One critic said the report is guilty of blurring the line between attacking religion and upholding the Constitution. A.J. Johnson, development director of American Atheists, Inc., said no one condones hate crimes such as the FRC shooting. But many other examples cited are simply cases in which advocates called for the separation of church and state,” Johnson said. But Perkins said the secular nation that groups like Johnson’s seek was never envisioned by the Founding Fathers, and will not come to be. “That’s not the future of our country,” Perkins said. 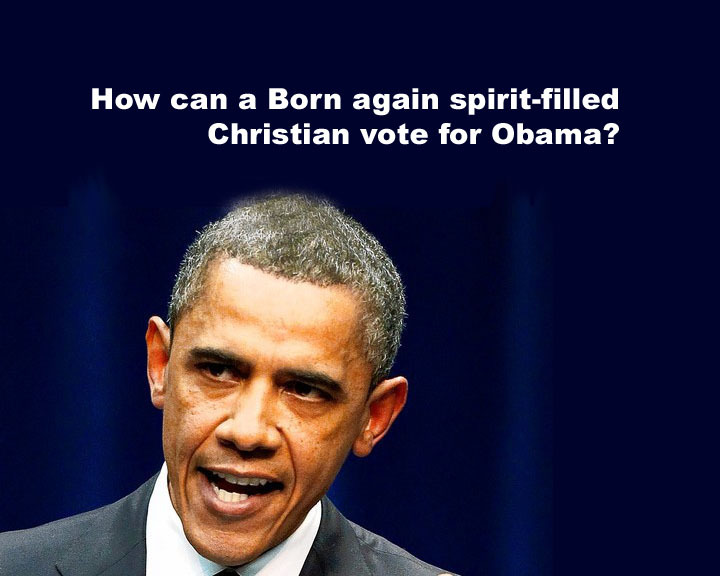 How can a born again spirit-filled Christian vote for Obama? Let me begin with the words of David Barton. Dr. David Barton is more of a historian than a Biblical speaker, but very famous for his knowledge of historical facts as well as Biblical truths. higher obligation to my Country and my GOD to do what is Right ! personal beliefs for the betterment of our Country! They have been a vocal and irreverent minority for years ! founding and growth of our Country ! bear firearms, and the most basic principles of our criminal code ! right of free speech ! Unite behind Obama? Never ! ! ! Strong words that we must consider. 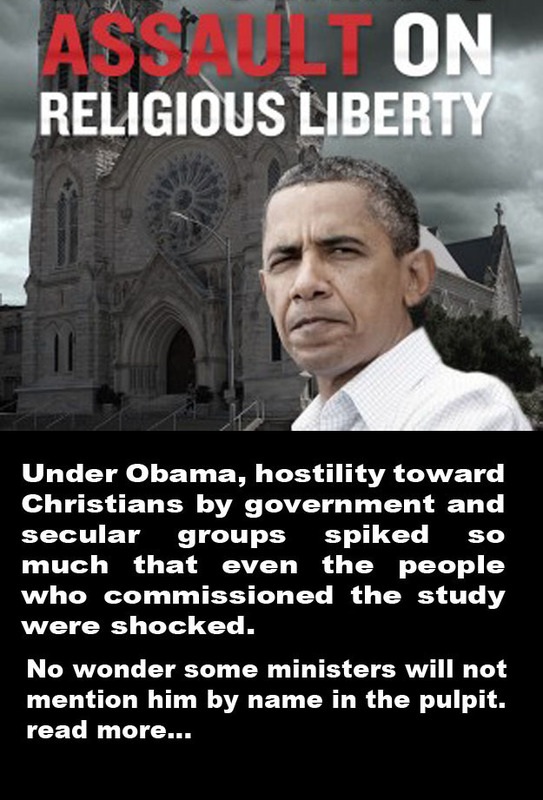 So I ask you from my heart…how can a Spirit-filled Christian vote for Obama? How? Why? In what universe of reality can it be possible? I would really love to know. Let me hear your rationale. Remember what my question is. Don’t come back with, “well, how can we vote for Romney,” I am not asking you that. The question is how can you, as an on fire, disciple of Jesus vote for Obama? 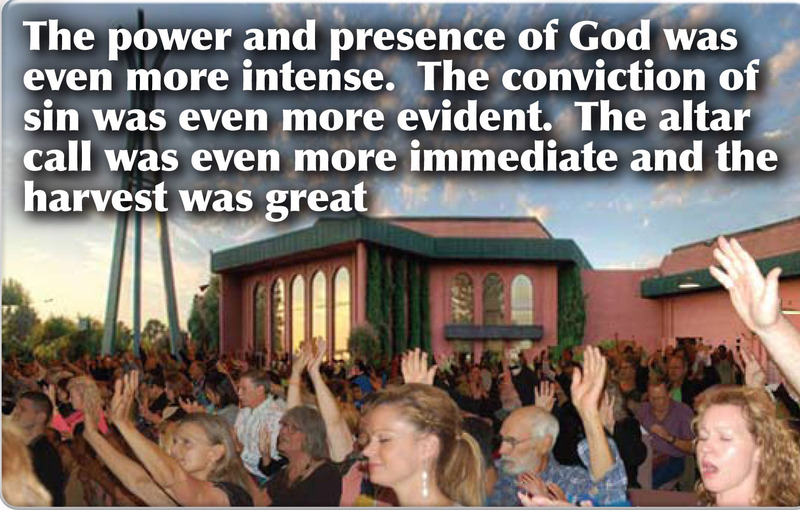 -Souls are coming to the altar at an average rate of about 30-50 per night. -Healings are being reported on a depth and on a scale that is unprecedented in our 45 year history. People are visiting their doctors and returning with confirmed healings of life threatening diseases. -The momentum has continued unabated for 12 weeks. It has overcome the dead of summer, a time notoriously bad for church attendance. It has now survived the first week of school, when parents cannot go out to meetings because they are adjusting to school hours and homework. 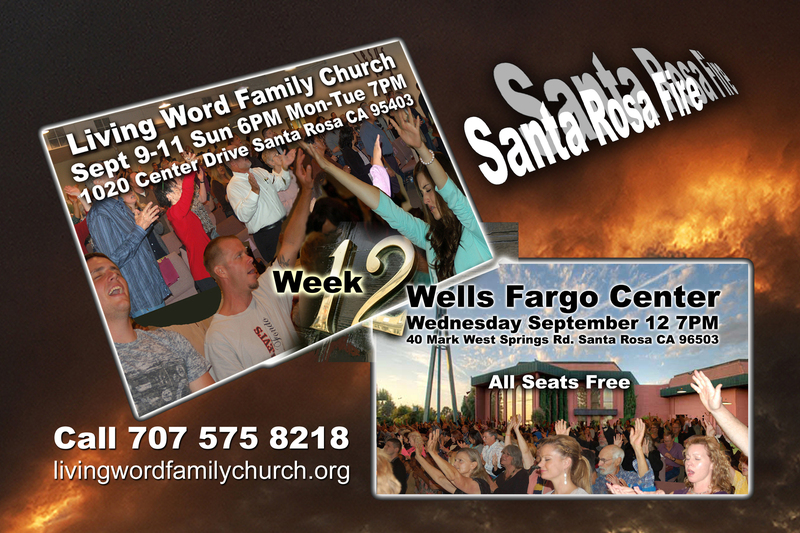 Yet, this was the biggest week of all for the Santa Rosa Fire! Bottom line: God will honor any effort to sincerely seek revival. To Him, it is a revival until man stops it. This amazing event is still in its infancy requiring many more miracles and acts of obedience to Jesus before it can be the force to truly be a regional awakening . However, it is a scary thing for anyone to say this is not a revival. 2. Should this revival take a political position? Many are squeamish about the fact that the Santa Rosa Fire may be making a political statement. The fact is, a certain political party has taken a spiritual position that is blatantly and even proudly anti Christian. In other words, the church has been called out. We are being told that some of our core beliefs will soon be reclassified as hate crimes and may lead to infringement of our freedom of worship. We have not gotten political, they have gotten spiritual and have forced us to react and take a stand. This is why Billy Graham broke a long standing practice in order to speak out in favor of the marriage bill in North Carolina. He rightly observed the threat to church and family. This revival is very much about God’s zeal for America. Is God pouring out of His Spirit over America because we are in the most urgent election since the Civil War? If a group is battling to control our nation’s soul can we remain silent? If many people, including Christians are planning to vote in a way that will remove faith, destroy our economy, and make America a second rate power and God wants to save us, then shouldn’t we be alarmed and speak out? Revival is supposed to lead to reformation. What would a reformation look like in this current climate? Yes, we must take a stand.